Granted, that may be stating things a little broadly. It wouldn't be entirely accurate to call independent film pre-1992 toothless, or mainstream movies vulgar, or to claim that Tarantino was somehow the savior of an ineffectual, irrelevant arthouse scene. But Reservoir Dogs was nonetheless a defining moment, because it lent artistic legitimacy to what would have otherwise been dismissed as genre trash. It didn't make much money in its theatrical run–old viewing habits die hard–but along with Pulp Fiction two years later, it legitimately transformed the scene. Even now, low-budget genre films still have a tough time getting the support they need, but Reservoir Dogs did an awful lot to make them viable by finding a previously nonexistent audience that craved unvarnished visceral excitement without the attendant Hollywood stupidity. 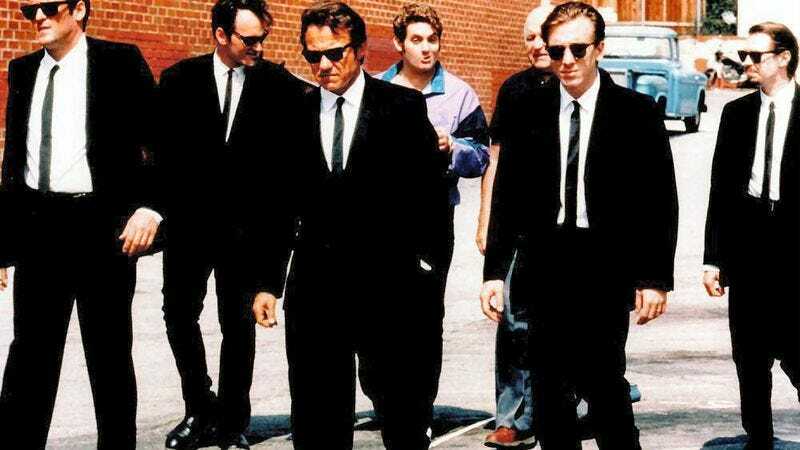 Made for just over $1 million, Reservoir Dogs is a classic example of turning budgetary liabilities into creative assets. A heist movie without the heist, the film takes place mostly in one location, the warehouse, and deals alternately with the lead-up and the aftermath. The limited space gives it the intensity of theater, and the interweaving of flashbacks and present-day confrontations make the robbery itself come together in the imagination better than it might have had Tarantino splurged on a Michael Mann setpiece. As with much of Tarantino's work, the heist-without-the-heist conceit isn't unprecedented, nor is the structure–Stanley Kubrick's The Killing, also a model of low-budget resourcefulness, was his acknowledged influence–but he always manages to stay on the right side of the line between homage and rip-off. "Violence was like another character in the room [inReservoir Dogs]. It hung over the proceedings. You kept waiting for every conversation to break out into it. So even if it was funny, the audience might have laughed, but when they get out of the theater, they don't remember laughing."